Emotions were high on the Senate floor Thursday as senators failed to pass two bills to end the partial government shutdown. The president’s immigration proposal, which included a $5.7 billion border wall, was nine votes shy of the 60-vote requirement. The Democrat-backed bill to reopen the government through Feb. 8 failed by eight votes. Before voting began, Sen. Michael Bennet, D-Colo., expressed his disappointment in Congress’ low approval rating and condemned the actions that led to the longest-running federal shutdown in a fiery speech on the Senate floor. Bennet also took aim at Sen. Ted Cruz, R-Texas, accusing him of contributing to the 2013 shutdown while shedding “crocodile tears” for furloughed workers during the current shutdown. “When the senator from Texas shut this government down in 2013, my state was flooded. It was underwater. People were killed. People’s houses were destroyed. Their small businesses were ruined forever,” Bennet said, his voice rising. Bennet continued by rejecting the idea that Democrats were opposed to necessary border protections. Shortly after Bennet’s speech, Cruz fired back at the Colorado senator. “If you have the facts, you bang the facts. If you have the law, you bang the law. If you don’t have either, you bang the table,” Cruz said. Earlier today, Sen. Cory Gardner, R-Colo., announced his intention to vote for the two measures to end the shutdown. Senate Majority Leader Mitch McConnell, R-Ky., and Minority Leader Chuck Schumer, D-N.Y., were expected to meet Thursday afternoon to discuss a continuing resolution to reopen the government. The failed vote came as the government shutdown reached its 34th day. 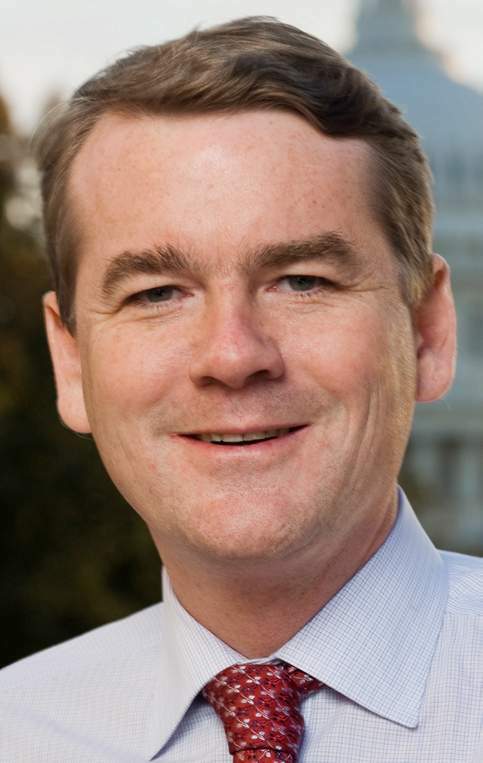 Liz Weber is a student at American University in Washington, D.C., and an intern for The Durango Herald.An earlier version of this story misidentified Sen. Michael Bennet’s party affiliation. The error was made in editing.